Situated near the beach, this motel is within 2 mi (3 km) of Walter Hall Park, League Park, and Helen's Garden. West Bay Common School Children's Museum and Butler Longhorn Museum are also within 3 mi (5 km). Situated in a shopping district, this hotel is within 3 mi (5 km) of Beacon Lake Golf Course, Bay Area Raceway, and Dickinson Historic Railroad Center. Paul Hopkins Park and League Park are also within 3 mi (5 km). 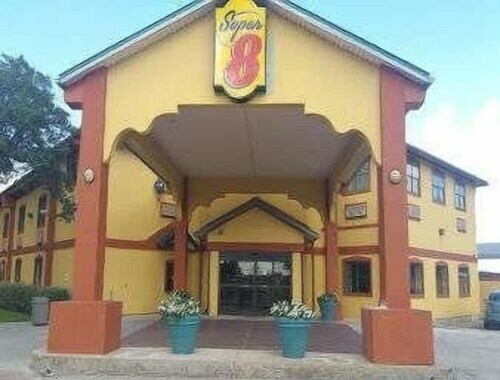 Situated in League City, this aparthotel is within 3 mi (5 km) of Beacon Lake Golf Course, Bay Area Raceway, and Dickinson Historic Railroad Center. Hometown Heroes Park and League Park are also within 3 mi (5 km). 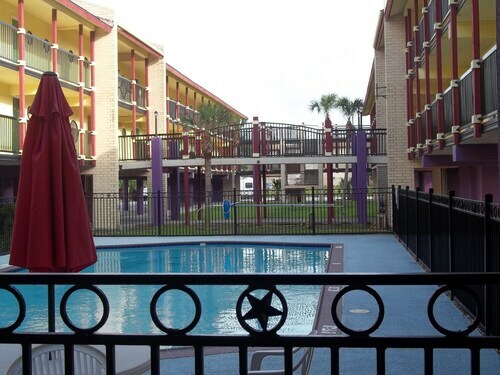 Situated in League City, this apartment building is within 2 mi (3 km) of League Park, Helen's Garden, and Walter Hall Park. West Bay Common School Children's Museum and Butler Longhorn Museum are also within 3 mi (5 km). How Much is a Hotel Room in League City? 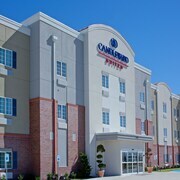 Hotels in League City start at $39 per night. Prices and availability subject to change. Additional terms may apply. You’ve stirred up some Texas-sized trouble in your day. There was the Tequila Incident of 2010 and the infamous Sriracha Pancake Debacle that you don’t like mentioned in mixed company. We know, we know—you only cried a little. This time around, you’re longing for a slower kind of vacation. The type where you savor a plate of ribs, not missing a single droplet of sauce. Thanks to comfy League City hotels, a trip to the southeast Houston suburbs just got easier. The Galveston Bay will be at your sauce-covered fingertips, but League City also offers bayou and prairie landscapes. Chew on this, big leaguer: When you’re done exploring the museum district and shopping in Houston, League City is just 30 miles away. Before you know it, the bright lights and big hats of Space City will be in your rearview mirror. In front of you, elm trees and the sparkle of Clear Creek guide the way to a vacation filled with slow walks in Walter Hall Park and antiques window shopping. Ah, we can smell the fresh air from here. Reserve a League City rental car and you’ll be exploring the Kemah Boardwalk and Bayou Wildlife Zoo at your own pace. In the wetlands and forests of Armand Bayou Nature Center, there is plenty of time to get quiet and let the wind gently whistle past your face. Once you’re lulled into a state of true bliss, let one of the best hotels in League City, TX show you what Southern hospitality is all about. Travelocity has deals on thousands of hotels, so we would never leave you hanging when you need the best price on some Texan accommodations. 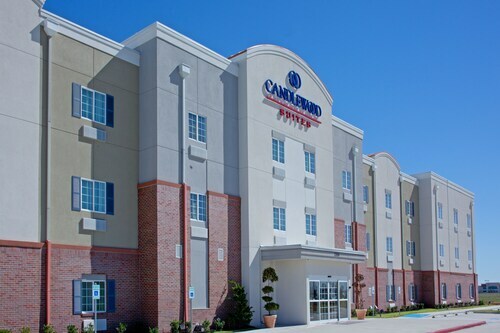 From high-end hotels in Houston to budget motels in League City, TX, we always have your back. Find a cheaper rate? We’ll match it. No pool and no breakfast, but nearby fast food dinning available.